Most major industries in Victoria these days require mandatory criminal background checks.This is to mitigate potential HR risks to the business or the workplace. It helps them make informed employment decisions. At your next job interview, make yourself stand out by having your police check ready to go before it is requested. Show your future employers that you are organised and responsible – a great fit for the job. InterCheck Australia can help you do this by providing a simple online application process which will get back to you with results quickly, cheaply, and easily. Why should you choose InterCheck? Over 1, 200 organisations, including Job Find Centre, John Beever Australia and Seek.com, regularly use and endorse our services. Why? Because we offer reliable, fast, and affordable Police Checks, with 80% of submissions returned in under two days. We process your application on the same day you submit it to us. InterCheck Australia is accredited with the Australian Government ACIC agency, which means we have direct access to the National Criminal History Database. Our National Police Check Certificates are accepted by almost all organisations and companies. 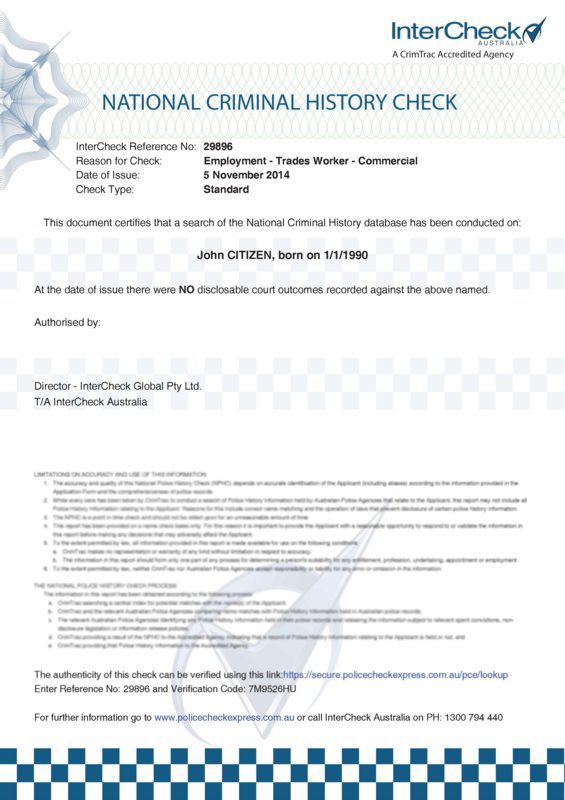 What is the difference if you obtain a National Police Check Certificate from Intercheck and the one from the Tasmania Police Station? We use the same database as the Australian Federal Police and State Police. The Certificate issued by InterCheck will have our logo on it. What if your results take longer than expected? Your information is forwarded directly to the Government Agency in Canberra – the Police Checking Service will then check your information against their various databases – and they then issue the results. 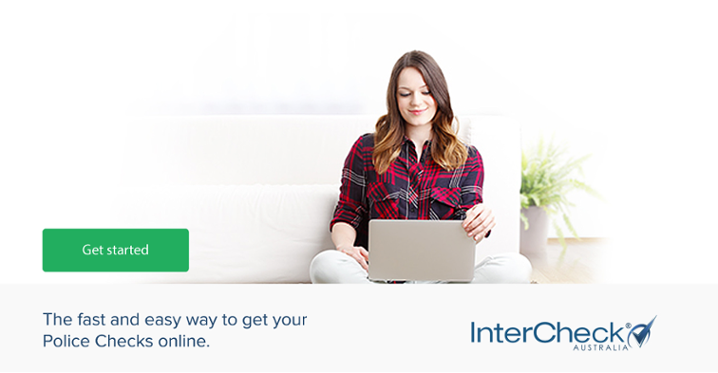 You can obtain your police certificate via email or download it from Intercheck’s secured online portal. You will also get notification via email or SMS to stay up to date with every stage of the application process. If the result of your Police Check is not returned within 1-2 Business days, your application will be flagged for manual review by the police authorities for further investigation. Need a Police Check today? Make progress with your job search and police check by getting in touch with InterCheck Australia today! Our online application is easy and simple to use. If you have any problems or concerns, you can call 1300 794 440 to speak with one of our customer support specialist. Don’t leave getting your criminal background check to the last minute.